Otherwise, it may become a convenient mode of avoiding the process of arbitration by simply using the device of making allegations of fraud and pleading that issue of fraud needs to be decided by the civil court, the Court observed. The Supreme Court in A. Ayyasamy vs. A. Paramasivam, has held that mere allegation of fraud simplicitor is not a ground to nullify the effect of arbitration agreement between the parties. The Bench comprising Justice A.K. Sikri and Justice D.Y. Chandrachud observed that only when the allegations are of a serious and complicated nature, an application under Section 8 of the Arbitration and Conciliation Act should be rejected. In the instant case, the application of the appellant under Section 8 of the Act was dismissed by the court (also the high court) holding that as there were serious allegations as to fraud and malpractices committed by the appellant in respect of the finances of the partnership firm and the case does not warrant to be tried and decided by the arbitrator, a civil court would be more competent which has the requisite means to decide such complicated matter. Aggreived with this dismissal, the applicant moved the Supreme Court. 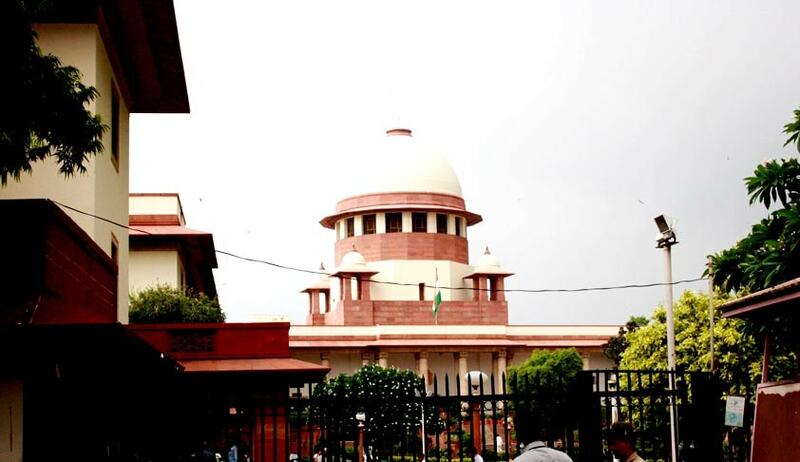 Justice Sikri observed that, the inquiry of the court, while dealing with an application under Section 8 of the Act, should be on whether the nature of dispute is such that it cannot be referred to arbitration, even if there is an arbitration agreement between the parties. When the case of fraud is set up by one of the parties and on that basis that party wants to wriggle out of that arbitration agreement, a strict and meticulous inquiry into the allegations of fraud is needed and only when the court is satisfied that the allegations are of serious and complicated nature that it would be more appropriate for the court to deal with the subject matter rather than relegating the parties to arbitration, then alone such an application under Section 8 should be rejected, Justice Sikri said in his judgment. In his separate judgment, though concurring, Justice Chandrachud observed that allegations of criminal wrongdoing or of statutory violation would not detract from the jurisdiction of the arbitral tribunal to resolve a dispute arising out of a civil or contractual relationship on the basis of the jurisdiction conferred by the arbitration agreement. The Arbitration and Conciliation Act, 1996, should in my view be interpreted so as to bring in line the principles underlying its interpretation in a manner that is consistent with prevailing approaches in the common law world. Jurisprudence in India must evolve towards strengthening the institutional efficacy of arbitration. Deference to a forum chosen by parties as a complete remedy for resolving all their claims is but part of that evolution. Minimising the intervention of courts is again a recognition of the same principle, Justice Chandrachud said.